The stem remains on the line allowing the lead to be changed quickly and easily via the centrally located groove. This also ensures your rods are safe when packed away, simply remove your lead and wind in any slack line until the tail rubber rests against the tip ring of your rod. No more leads damaging your rod blank in transit. 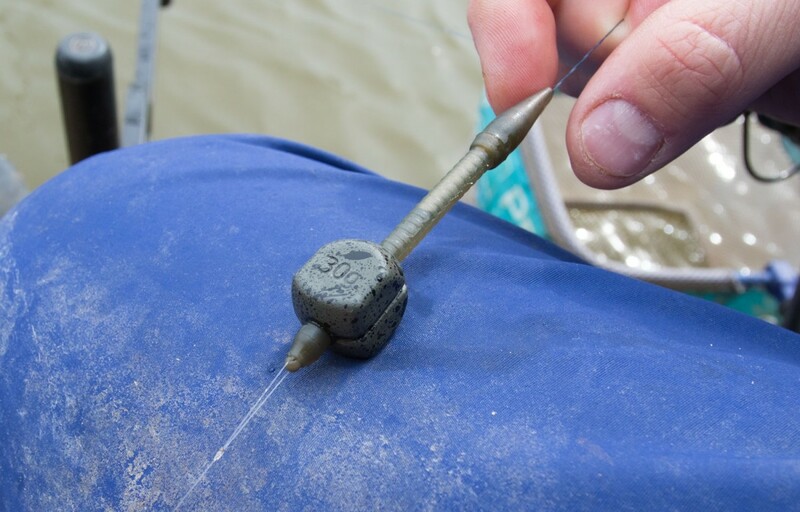 The Inline Match Cubes cast extremely well and will hold on sloping lake beds making them perfect for casting to far bank features and islands. The inline design also promotes self-hooking as the fish dislodges the heaviest part of the lead first, leading to more fish in the net. 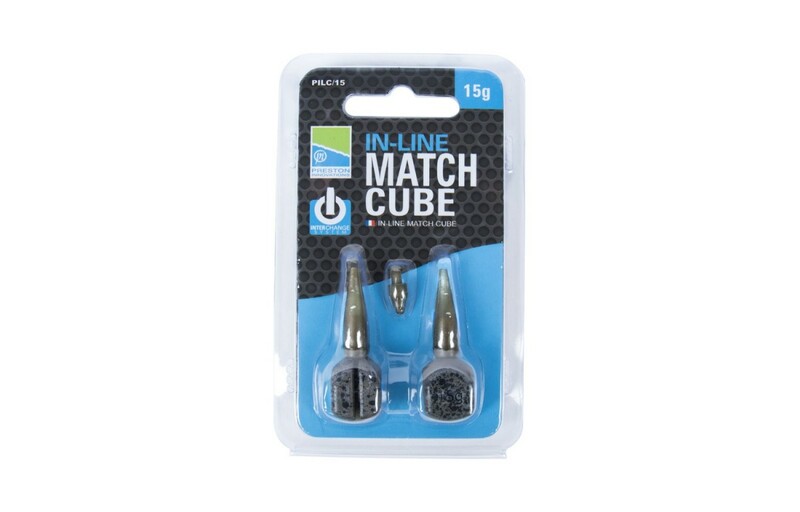 As part of the Inter Change System the Inline Match Cubes allow the angler to alternate lead sizes without disassembling the entire rig, and are compatible with the full range of Inter Change System feeders and products. 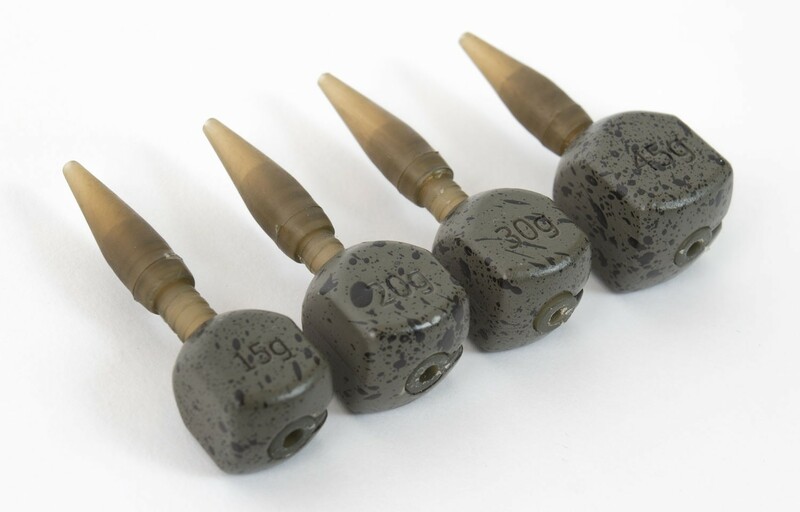 Available in 4 different sizes and supplied in packs of 2: 15g, 20g, 30g, 45gThe Inter Change System’ is a new dimension in feeder fishing. A comprehensive collection of feeders, bombs and associated products that allows the angler to alternate feeder sizes and weights without disassembling the entire rig. With solid Zinc Alloy construction and multiple configuration options the ICS range provides something for every feeder angler. FREE Delivery on all Preston Split Shot / Weights over £100!! !